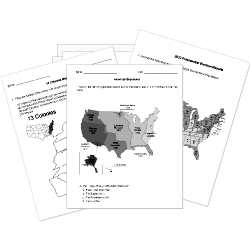 You can create printable tests and worksheets from these Grade 9 Asian History questions! Select one or more questions using the checkboxes above each question. Then click the add selected questions to a test button before moving to another page. The Meiji Restoration took place in what year? The Meiji government moved Japan's capital to what city? Whose arrival in 1853 convinced the future Meiji leaders to peruse a policy of modernization? The Boshin War was fought between the emperor and the Shogunate. What document laid out the goals for the Meiji government? Which empire is believed to have created the game of chess? What was the largest land empire in history? Who was the leader of China during the Korean War? The Ming and Qing dynasties followed which of the following policies regarding foreign trade? Why was the Yuan Dynasty important in Chinese history? What was a highest military commander in Japan called? When did nomads and hunter-gatherer people live? Indira Gandhi was the prime minister of what country? When the Mongol Empire fell, what was the name of the new dynasty set up by Chinese Rebels? What Japanese religion is based on respect for nature and the worship of ancestors? Which ruler of the Mongols conquered Central Asia and China? Which of the following took place at Deshima? The Spanish tried to convert the people of the Philippines to Christianity. The Dutch based their trade with Japan. Which of the following set up a nonviolent movement with the aim to force the British to aid the poor and grant independence to India?